Greetings, friends! It has been a while since I posted on here. I’ve been through quite a struggle these last few months with the back to back passings of my two best male friends. I had to back off from my cooking videos and blog posts for a bit, but I am so glad to be back to this thing place that I love. 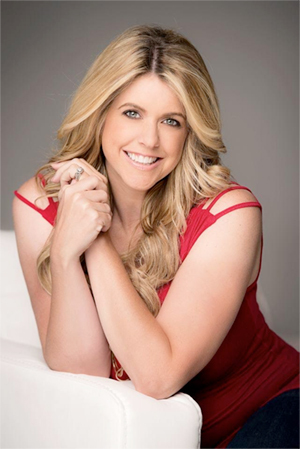 I have a super easy how-to for you today that will save you lots of time in the morning. I’m showing you how to make Steel Cut Oats in your Instant Pot! Check out the recipe instructions at the bottom of this post. I also made a video tutorial which gives you a great tip at the end about freezing single servings of the oatmeal. Perfect for busy mornings! Man! The devil is firing on all cylinders this week. He is trying hard to break me down. I am a strong person, y’all. But, like everyone else, I do have feelings. Those feelings have been bruised several times this week, and at times when I was least prepared. Isn’t that the worst? When you’re flying high, and someone comes along and just steals the wind from your sails? You try your hardest to let your guard down and relax, but it seems the second you do you get sideswiped in a hit and run. 👉🏻People don’t always mean what they say. Give grace even when it seems grace isn’t being extended. 👉🏻People sometimes say thing out of turn because they are mad about something else. Try to think beyond only your own thoughts and feelings to uncover the reason behind their action. What are THEY going through? 👉🏻Sometimes the way you interpret someone’s words or actions are based on how you are feeling internally about completely unrelated situations. Example: I feel insecure already because of XYZ that happened in the past, so I am adding a bunch of unintended meaning to someone’s innocent remarks. 👉🏻And, finally, people only have as much power over you as you allow them. I’m entitled to my feelings and they are based solely on my own experience. When they are hurt, I can recognize and honor those feelings without wallowing in them forever. In fact, the faster I validate my own feelings, the faster I can help my wounds heal. As my wounds heal, sometimes the bandaid will slip off and other people may unknowingly (and sometimes knowingly) cause me more injury. When that happens, it is my job to say “wow, that hurt,” cry if I need to, clean up my wound and put my bandaid back on. No one will do this for me. Also, sometimes other people need to have my bandaid pointed out to them, and that’s ok if it protects me from further injury. Finally, when it feels like I don’t have the answer, go back to rule #1. Photo of Dale Hollow Lake by my husband, FotoJo. Not exactly sure why I picked this one, but it seems to portray my feelings right now. 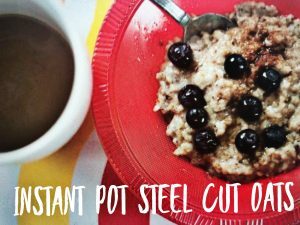 Perfect for busy mornings, you can make these steel cut oats at the beginning of the week and freeze single serving portions in a silicone muffin pan to pop out and defrost when needed. Replace lid. Set pot to Manual High Pressure for 10 minutes. When the timer goes off, allow the steam to release naturally. When all the steam is released, carefully remove lid and stir oats. They will appear watery but will thicken upon standing. Spoon out serving and add whatever toppings you prefer. Enjoy! You probably already know that I love my neighbor, Sharon, since I feature her on here frequently. She loves to cook just like I do and we have a blast texting each other recipes and swapping samples. Good neighbors make life so much more fun. 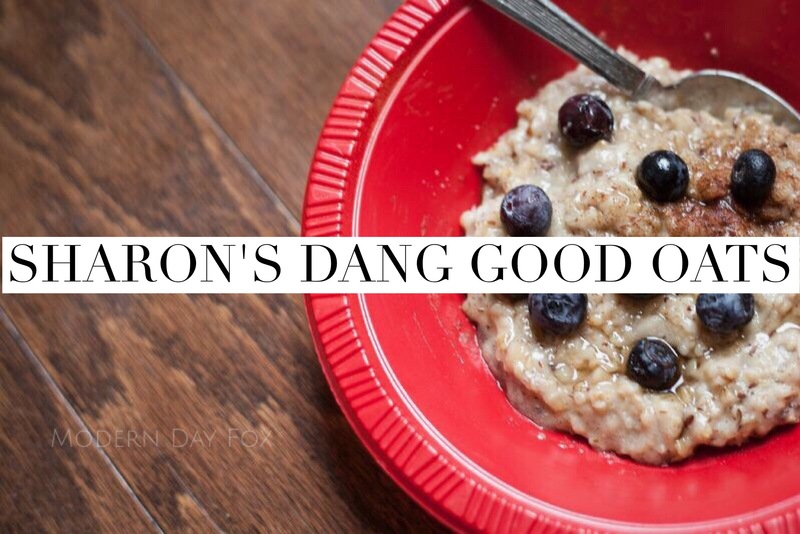 Sharon texted me the other night very excited about a steel cut oats recipe she saw on The Chew. Sharon never leaves a recipe the way she found it, and neither do I. So, I took Sharon’s recipe that she had adapted from The Chew, and I made my own changes based on the ingredients I had. Of course I also had to adapt it for the Instant Pot too! 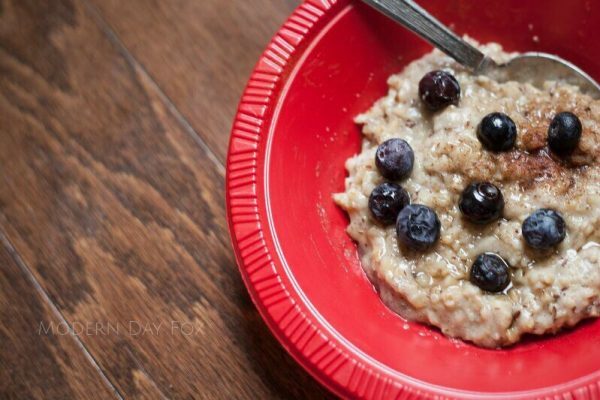 What resulted was a breakfast dish that not only tasted good, but has incredible nutritional value. 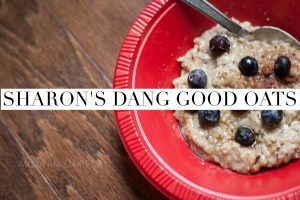 As Sharon said, “If I can get high fiber, anti-inflammatory antioxidants, and a proper glycemic index all in one bowl, I’m good!” Not to mention that steel cuts oats are very filling and help keep your bowels moving. Set Instant Pot to Saute. Melt tahini and butter. Add oats and toast for 2 minutes, stirring continuously. Add in remaining ingredients and stir well. Turn off Pot and reset on Manual HP for 3 minutes. Allow pressure to release naturally. Stir and add additional sweetener to taste. Serve hot and enjoy! This recipe was adapted from one seen on The Chew. 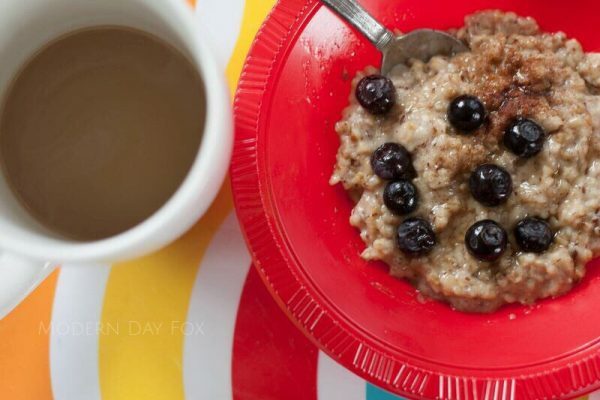 1 cup of dry steel cut oats should only be considered 2 servings, but this is an extremely filling recipe. I could have easily fed my family of 4 and still had leftovers.